Olga Viso has officially joined Arizona State University’s team as a senior adviser to Stephen J. Tepper, dean of the Herberger Institute for Design and the Arts. According to the Sept. 7 announcement, Viso’s new role focuses on developing global partnerships in the arts. She is currently working on a partnership with the Los Angeles County Museum of Art (LACMA) that offers professional development for emerging museum curators of color. She will also develop an academic partnership with artist James Turrell and the Northern Arizona-based Skystone Foundation. “I am thrilled to join the team of global thought leaders Steven Tepper has brought to ASU," said Viso. "My commitment to cross-disciplinary experimentation, to advancing diversity within the museum profession, and to elevating the voices of artists in society intersects with the values of this ambitious and entrepreneurial university." 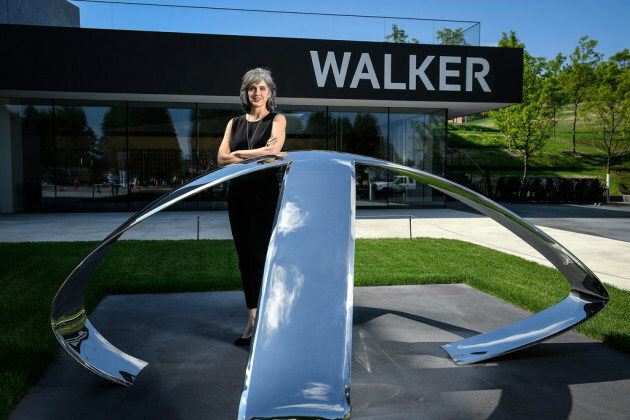 Less than a year ago, Viso resigned from the Walker Art Center amidst tensions with the board. She served as executive director from 2008-2017. Her last year at the institution was marked by unusually high turnover amongst staff and demonstrations against the “Scaffold” sculpture, which resulted in its takedown and the delayed reopening of the Minneapolis Sculpture Garden. Her resignation was announced shortly after the opening of “Adiós Utopia: Dreams and Deceptions in Cuban Art Since 1950,” a history of modern Cuba as told through the artists who stayed on the island or were born after the 1959 revolution. Viso served as a key advisor on this exhibition. As a Cuban-American and daughter of Cuban émigrés, this exhibition was personal to her. During Viso’s tenure, the Walker’s board became far more diverse. Currently 20 percent of its members are people of color, a significant increase from 5 percent in 2008. She also added 5,000 objects to the Walker’s collection, prioritizing an increased representation of local artists, women and people of color, while also adding global diversity. Viso is yet another person of color who has left the Twin Cities’ arts institutions within the past year. Minneapolis Institute of Art Senior Curator Yasufumi Nakamori departed in August for a senior curatorial position at a London museum. The Walker’s curator-at-large Adrienne Edwards also left this past spring for the Whitney Museum of American Art in New York.